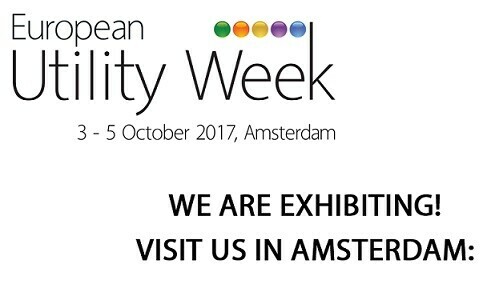 The OpenTherm Association will be an exhibitor at the upcoming European Utility Week in Amsterdam on 3-5 October 2017, and we invite you to come visit us on the exhibition floor. European Utility Week will bring together 12,000 of Europe’s thought leaders and visionaries in the energy industry, as well as 480 utilities. Traditionally it is the solution of choice for interconnecting between a heating boiler and a roomthermostat. More recently the number of applications have been extended and now systems with heat pumps, combined heat and power, whole house ventilations are using the protocol. In the last years a number of successful remote diagnostics applications have been developed by service and maintenance providers. The OpenTherm Association is currently developing ‘protocol revision 5.0’ that is extending and further standardizing the number of mandatory data ID’s facilitating further proliferation of Internet of Things applications in general. The European Utility Week is the premier business, innovation and information platform connecting smart utility community, allowing you to meet with experts from utilities, network operators, vendors, start ups and system integrators covering the entire smart energy value chain. The European Utility Week helps the smart energy industry drive efficiencies in meeting sustainable development goals. This edition is the exhibition from 3 till 5 October 2017 in Amsterdam, The Netherlands. More information can be found at: www.european-utility-week.com.